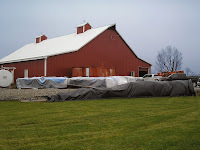 Sometimes an existing water facility will not always get the job done. In Boone County, Indiana, the Sugar Creek Water Plant’s two outdated filters were coming to an end in life. The plant needed a system that would remove the iron from their water as well as create an easier backwash process that did not waste water or power. Investing in new filters was an obvious solution. The county chose to replace the existing facility with equipment for an iron removal plant. 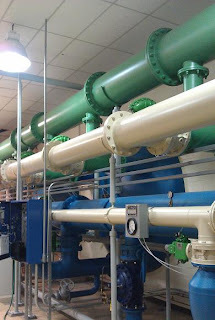 A new aerator and three, 10’ by 38’ Horizontal Pressure Filters (HPF) had been exactly what the county needed. In Lebanon’s local news, a reporter filmed the start of the HPF installation process when the crane horizontally inserted the filters. After all the coordination efforts and construction, controls were installed and Sugar Creek’s newly improved plant started up in March.